Scarborough Castle was built upon a headland that stands 300 metres above sea level. The site had originally been an Iron Age settlement and later the Romans constructed a signal station. The castle was raised in the twelfth century and later significantly expanded by Henry II. 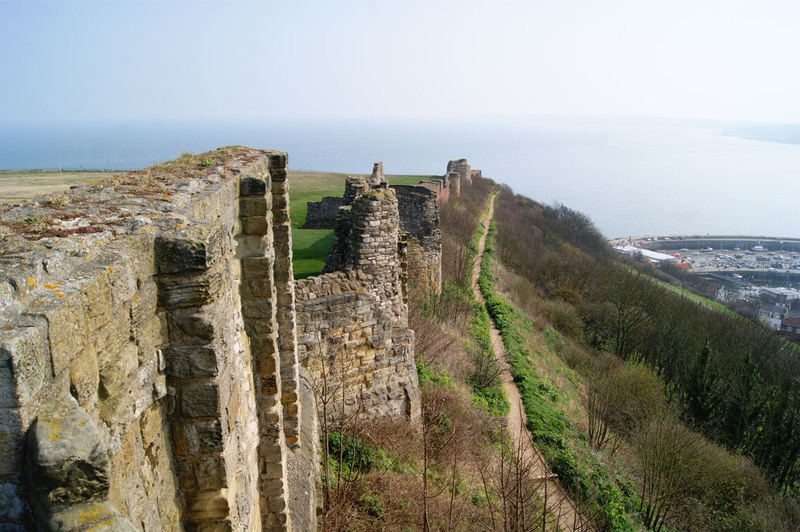 It was besieged twice during the Civil War and bombarded by the German Navy during World War I.
Scarborough Castle occupies a rocky promontory that projects into the North Sea and is protected by high cliffs on three sides. The plateau stands 300 metres above sea level and, with its strong natural defences, has been occupied for thousands of years with evidence of human activity dating back to circa-2000 BC. 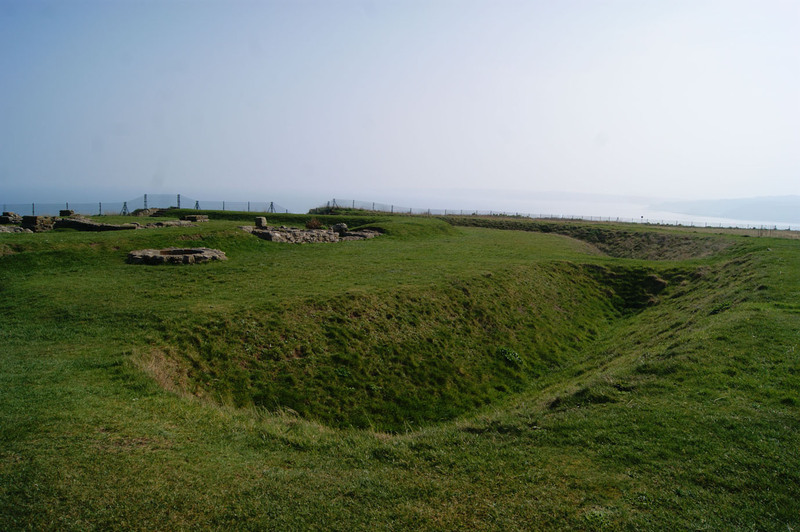 By the late Bronze Age/early Iron Age a settlement had become established on the site but the extent of this community is unknown as much has been lost to coastal erosion or buried under the later structures. 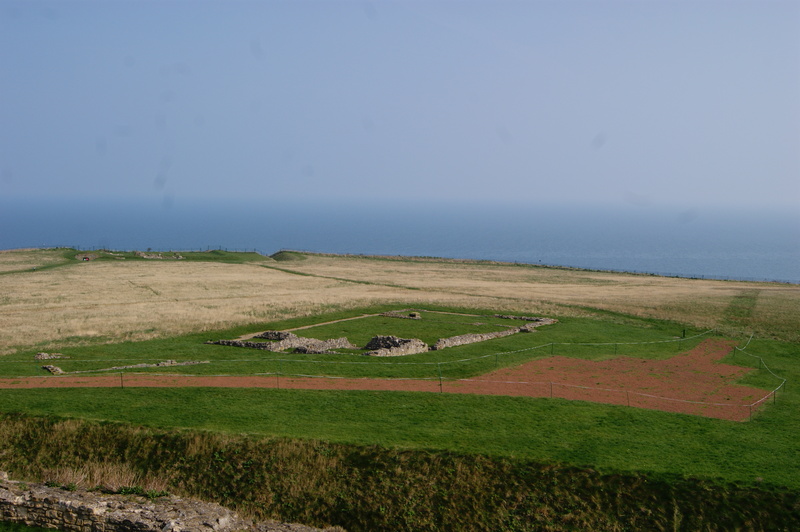 In the late fourth century AD, the Roman army had built a signal station or watchtower on the headland seemingly over former Iron Age buildings. The new facility was protected by a square, stone built curtain wall with D shaped turrets on each corner. A central structure, presumed to be a main tower, was enclosed within. The entire site was surrounded by a dry ditch with a causeway to the west to provide access. The role of this Roman military outpost in the wider military disposition is unclear. It is possible the watchtower acted alone to support a nearby settlement. Alternatively it could have been part of a wider network of such towers possibly stretching south from Hadrian's Wall. By the mid-fourth century the east coast of Britain was increasingly being subjected to raids from Germanic sea borne raiders and Scarborough may have been part of a scheme to mitigate that threat. Similar structures at Filey, Goldsborough and Huntcliffe as well as Wheeldale Roman Road all point to this being the case. However, it could also have been part of a military disposition associated with the usurper Magnus Maximus who controlled Britain between AD 383 and 388 before Rome re-established their authority. Site of the Roman signal station or watchtower. A church was built over the ruins in the tenth century AD. In the centuries that followed the withdrawal of the Romans, Scarborough came under the control of the Norsemen. It was during this period the site acquired its name with Scarborough meaning 'stronghold of Skardi'. However, Viking Scarborough was established on the low ground below the headland to enable the inhabitants to have easy access to the sea. The headland may have been used for livestock grazing and around AD 1000 a chapel was built over the former Roman signal station, re-using its stone and firm foundations. 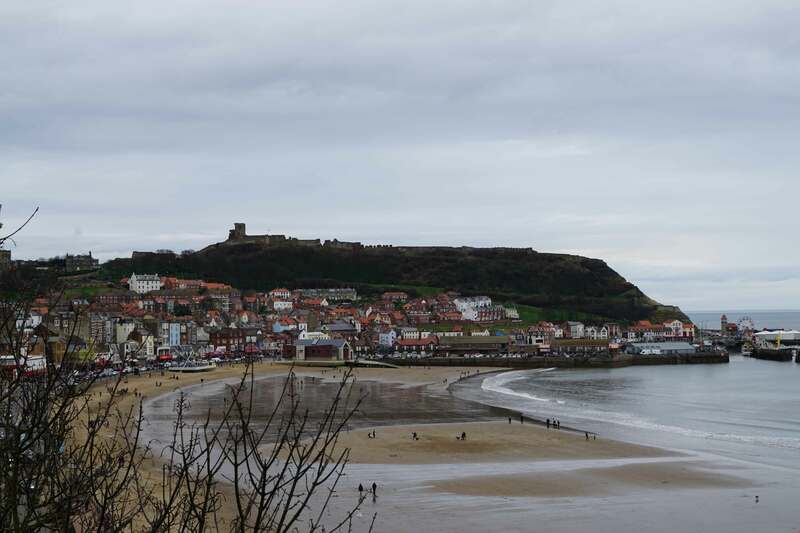 However, Scarborough was devastated in 1066 when it was attacked by Harald Hardrada, King of Norway who also sought to claim the throne of England. His fleet arrived off Scarborough in September 1066 and, when he met stiff local resistance, occupied the headland and bombarded the town below. The settlement may have been completely destroyed as Scarborough disappeared from the historical record for the next century. Hardrada himself was defeated and killed at the Battle of Stamford Bridge (1066). 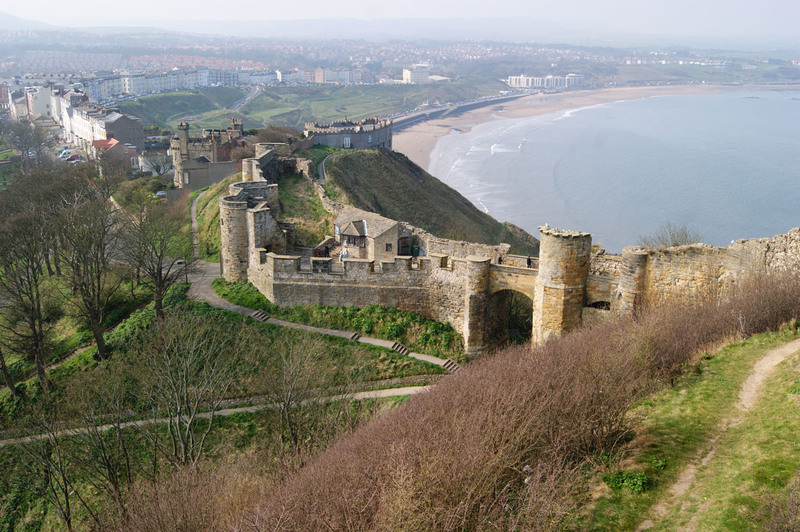 Scarborough was re-founded in the mid-twelfth century in the midst of the Anarchy, the civil war between Stephen and Matilda over the English throne. The former granted the Earldom of York to William le Gros, Count of Aumâle in gratitude for his victory over Scottish forces at the Battle of Northallerton (1138). William commenced fortifying his new estates and at Scarborough he constructed a curtain wall, probably an earth and timber structure, across the landward neck of the promontory. He also built a stone tower on the site of the later Keep. The Anarchy ended with the accession of Henry II, Matilda's son, in 1154. After decades of civil war, the new King was keen to re-establish Royal authority and this included demanding the surrender of all castles built during the war without Royal permission. William le Gros attempted to defy the order but, when faced with a Royal army, he relented. Scarborough was strategically important to the King as it offered a harbour which facilitated easy access into Yorkshire thus enabling effective military control. Accordingly in 1159 Henry commenced construction of a substantial fortress on the site. The centrepiece of the new castle was a Great Keep, constructed over the earlier tower built by William de Gros. The Keep was enclosed within an Inner Bailey which was protected by a stone curtain wall fronted by a deep ditch. 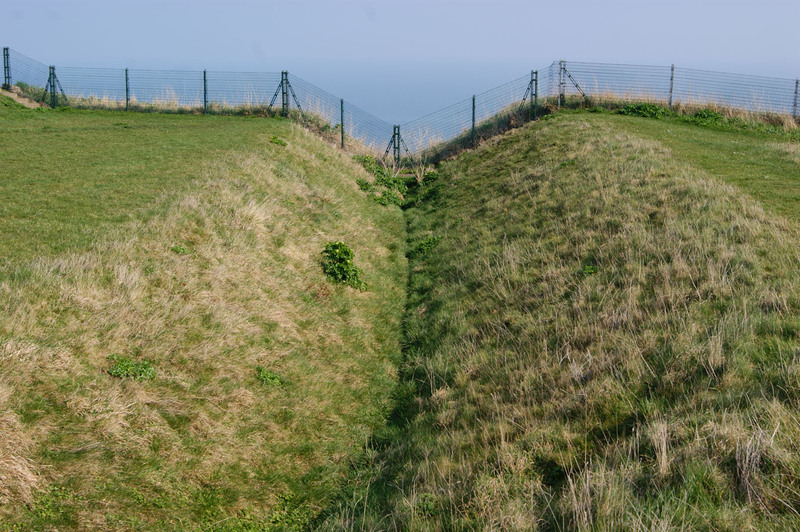 The rest of the headland became the Outer Bailey and remained enclosed by the existing earth and timber defences. The Great Keep was built by Henry II between 1159 and 1169. King John made substantial modifications to Scarborough Castle including enhancements to the Inner Bailey defences. Between 1207 and 1212 he rebuilt the curtain wall that separated the promontory from the mainland and added towers along its length. He also added a new Hall and Royal accommodation. 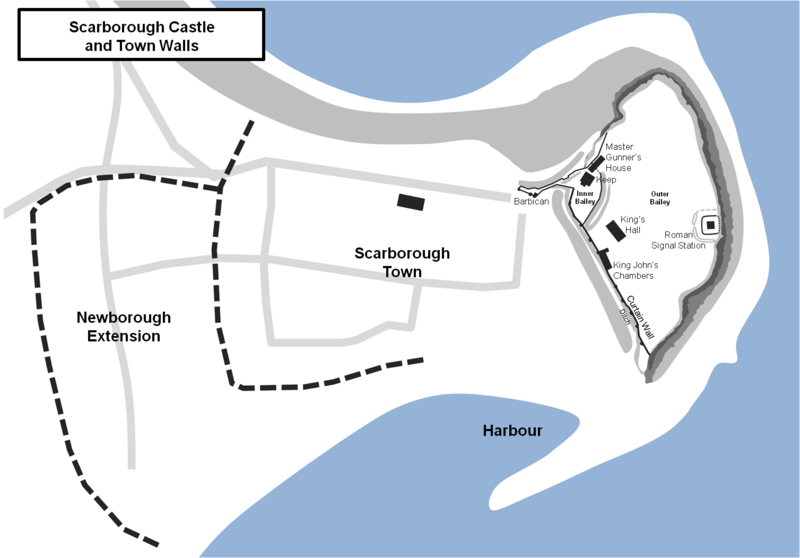 It may also have been during King John's reign that Scarborough Town Walls were constructed. John Leland, visiting in the 1540s, described these as mostly "ditches and walls of earth" although they were partially faced in stone. The walls were probably primarily for taxation purposes rather than defence. John's successor, Henry III, continued the modifications at Scarborough. He added the massive barbican to the castle in 1243 and made substantial repairs to damage caused by coastal erosion. He also granted murage, the right to extract taxes, to fund the repairs of the town walls. Together these upgrades ensured Scarborough remained a strong base but also led to a number of the castle's Governors abusing their positions. Most notable was William de Percy who, in the 1270s, used the castle as a base from which to extract illegal tolls. Scarborough was briefly besieged in April 1312 when Edward II's unpopular favourite, Piers Gaveston, sheltered at the castle. Gaveston had incurred the wrath of some key magnates - most notably the Earls of Lancaster and Warwick - and was being pursued by their forces. 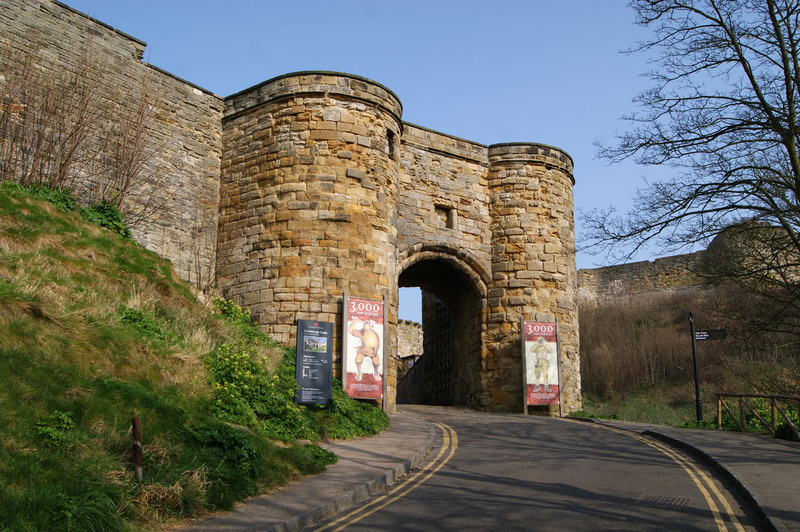 After fleeing from a surprise attack on Newcastle, Gaveston sought refuge at Scarborough but found the castle poorly provisioned. He was compelled to surrender and, although promised safe conduct, was seized by the Earl of Warwick. He was taken to Warwick Castle where he was tried and executed. The massive barbican was built by Henry III in 1243. By the fifteenth century Scarborough Castle was ruinous with few repairs and material being plundered from its structure. Richard III visited briefly in 1484 but only to oversee preparations of a fleet to resist an expected invasion by Henry Tudor. However, the castle was embroiled in two major rebellions during the sixteenth century. The first occasion was during the Pilgrimage of Grace, a major northern rebellion against Henry VIII's religious reforms and the associated economic and social changes. 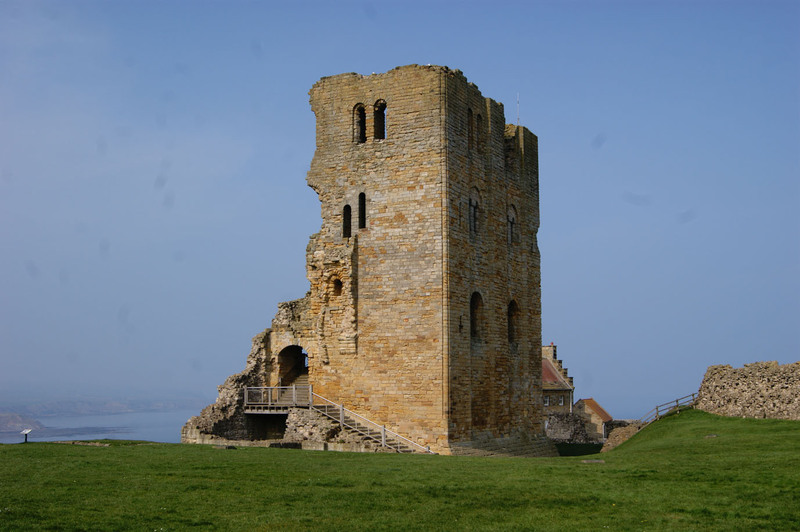 The revolt's leader, Robert Aske, attempted to seize Scarborough in October 1536 but, despite the castle's dilapidated state, failed. Nevertheless, the following year the King commissioned repairs to the castle. Scarborough was also embroiled in the 1557 rebellion against Mary I. This was an anti-Catholic rebellion led by Thomas Wyatt and was focused in the south-east. 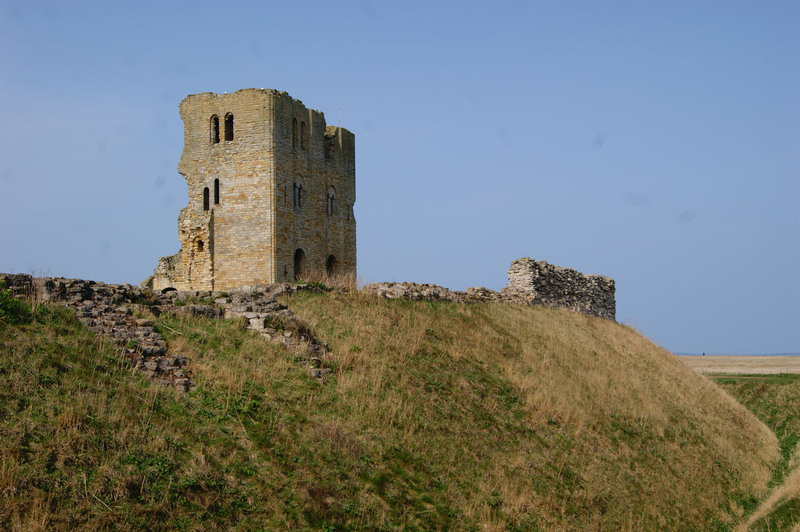 However, Scarborough Castle was seized by Thomas Stafford who held it for three days whilst he tried, unsuccessfully, to incite rebellion in the north of England. Stafford was captured and later executed at Tower Hill in London. At the start of the Civil War, Scarborough was garrisoned for Parliament. However, the local commander, Sir Hugh Cholmley, defected to the Royalist cause in March 1643. He surrendered the castle and for the next two years it was an invaluable port facility on the Yorkshire coast enabling the Royalists to import supplies and troops from abroad whilst concurrently raiding supply ships heading south. This led directly to a shortage of coal in London which prompted action by Parliament. On 18 February 1645 Sir John Meldrum commenced an assault on the town but it took three weeks of bloody fighting before he dislodged the Royalist garrison forcing them back into the castle. This was then besieged and attempts were made to breach the walls using artillery with the west wall of the Great Tower being destroyed at this time. The Royalists refused to yield and held out for a further five months, only surrendering on 25 July 1645. Scarborough Castle saw action again during the Second Civil War. On 27 July 1648 the Parliamentary Governor, Colonel Matthew Boynton, defected to the Royalist cause. The castle was besieged and was retaken in December 1648. Parliament ordered its destruction but, due to lobbying by the locals, it survived albeit in a ruinous state. After the Civil War the castle was used as a prison before being re-armed once again due to the Jacobite Rebellion of 1745. New gun batteries were installed and barracks added although no action was seen during this conflict. The castle also witnessed a raid during the American Revolutionary War when a flotilla of United States vessels under the command of John Paul Jones attacked two British warships in Scarborough bay. On 16 December 1914, during World War I, Scarborough was one of several English ports attacked by the German navy as part of a wider plan to entrap the Royal Navy. During the war the main anchorage for the British fleet was at Scarpa Flow in the Orkney Islands. The Royal Navy's fleet vastly outnumbered the forces available to the Germans but the latter hoped to overcome this numerical disadvantage by enticing part of the British fleet out to sea where it would be overwhelmed and destroyed. Accordingly the Grand Fleet put to sea and sent forward detachments to shell Hartlepool, Scarborough and Whitby. The attack on Scarborough took place on 16 December 1914 when two warships, SMS Derfflinger and SMS Von Der Tann, bombarded the town. Over 500 shells were fired killing 17 people and injuring a further 80. 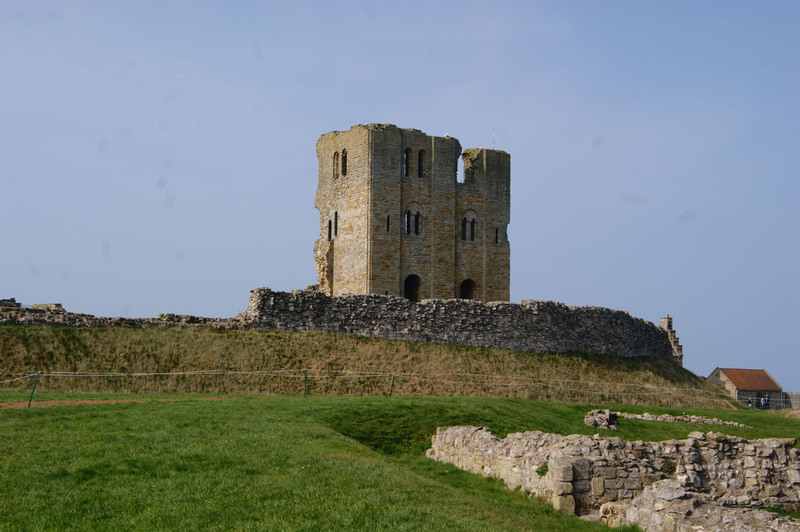 Scarborough Castle was also badly damaged in the attack. Binns, J (1986). Scarborough and the Civil Wars, 1642-51. Edwards, M (1966). Scarborough 966-1966. Goodhall, J.A (2010). Scarborough Castle. English Heritage, London. Pounds, N.J.G (1990). The Medieval Castle in England and Wales: A Social and Political History. Cambridge. Renn, D (1968). The Norman Castle in Britain. London. Rowntree, A (1931). History of Scarborough. London. Todd, G (1824). 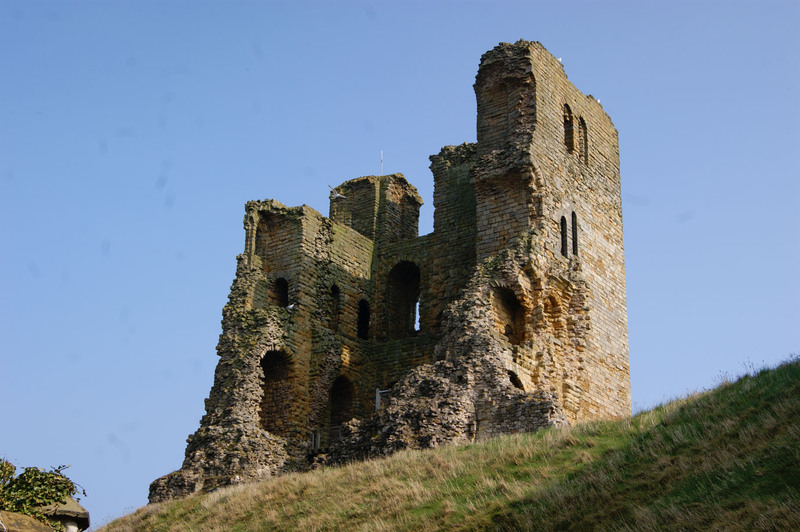 Castellum Huttonicum: Some Account of Sheriff Hutton Castle. Scarborough Castle is a major tourist attraction under the care of English Heritage. The remains consist of a late twelfth century castle with thirteenth and fourteenth century modifications. Also visible are the foundations of a Roman watchtower. Scarborough Castle Layout. The headland on which the castle was built projected into the North Sea and was surrounded on three sides by high cliffs. The enclosed area was around 16 acres. The main castle structures were constructed in the eastern corner although the entire headland would have been used for pasture. Later King John constructed a number of high status buildings near the southern curtain wall. The town walls were added no later than the early thirteenth century although these were probably for taxation purposes rather than defence. They were expanded to enclose Newborough in the late thirteenth century and a portion was rebuilt by Richard III in the late fifteenth century. Roman Signal Station. The Romans built a watchtower or signal station on the headland in the late fourth century. It is uncertain whether it was a singleton facility or part of a network of similar structures. The site was surrounded by a V shaped ditch and protected by a stone curtain wall. In the early eleventh century a chapel was built over the Roman structure. The eastern portion of the site has been lost to coastal erosion. Great Keep and Inner Bailey Defences. The Keep was built by Henry II between 1159 and 1169. It was enclosed within the Inner Bailey which was protected by a stone curtain wall fronted by a great ditch. The missing west side of the Keep was destroyed during the seventeenth century civil war. Outer Bailey Curtain Wall. The Outer Bailey curtain wall was added by King John between 1207 and 1212. The King also built a new Great Hall (right) within the Outer Bailey along with new accommodation facilities. Barbican. The barbican was built over the only gentle approach to the headland's plateau. The main passage was constructed by Henry III in 1243 but its gatehouse was constructed during the fourteenth century. Scarborough Castle is under the control of English Heritage. It is a major tourist attraction and well sign-posted. Ample car parking is available throughout Scarborough with one option shown below.